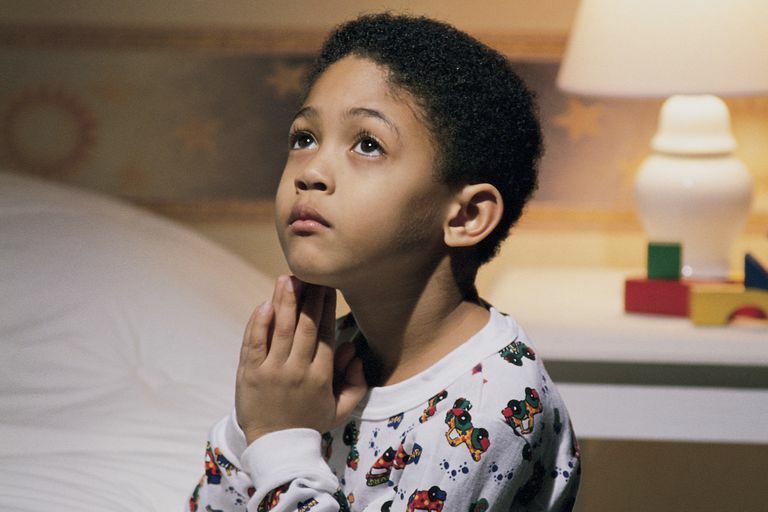 Saying bedtime prayers with your children is a great way to develop a habit of prayer early in your kids' lives. As you pray together, you can explain to them what each prayer means and how they can talk to God and depend on him for everything in life. These simple prayers for kids to say at night contain rhyme and cadence to help small children enjoy learning to pray before bed. Begin building an important foundation for the future as you lead your little ones in these bedtime prayers. The Bible gives this instruction to parents in Proverbs 22:6: "Direct your children onto the right path, and when they are older, they will not leave it." Teaching your kids to pray before bedtime is an excellent way to direct them onto the right path and help them develop a lifelong relationship with God. I pray the Lord to guide my way. Amen. This original bedtime prayer for kids was written by a grandmother for her granddaughter. Parents can pray this blessing over their children before they fall asleep. Please bless this child that I love. And may her dreams be pure delight. So she can feel your love inside. So she will know you hold her soul. Also known as "Black Paternoster," this nursery rhyme dates back to medieval times. It was published by an Anglican priest, Sabine Baring-Gould (1834-1924), in 1891 as part of a collection of folk songs titled "Songs of the West." God, my friend, it is time for bed. Time to rest my sleepy head. I pray to you before I do. Please guide me down the path that's true. He says I am his gift from you. God, my friend, it is time to sleep. To run and jump and laugh and play! And God, my friend, I love you. This original Christian goodnight prayer gives thanks to God for the blessing of today and the hope for tomorrow. And freedom, should I choose to roam. I have been given all I need. In times of glory and of strife. Yet grounded, still, with much to learn. Grateful for its abundant worth. I’ll rise, thankful I’ve reached tomorrow.